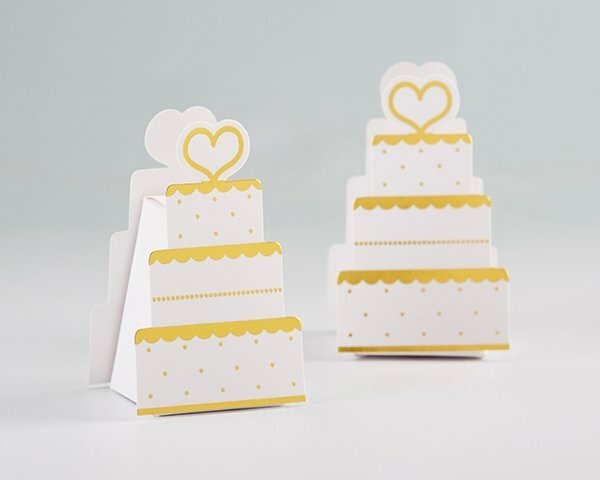 Dress up small favors in chic wedding style with Kate Aspen's Gold Wedding Cake Favor Box! The shaped favor boxes are sold in sets of 12, making them an easy choice for weddings or showers of all sizes. Each three-tiered wedding cake favor box is perfectly suited for mints, gum, or candy favors, and can be assembled easily! 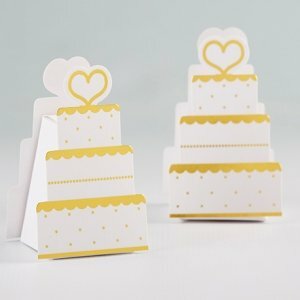 White card stock favor box with 3-tiered wedding cake shape and gold foil details.